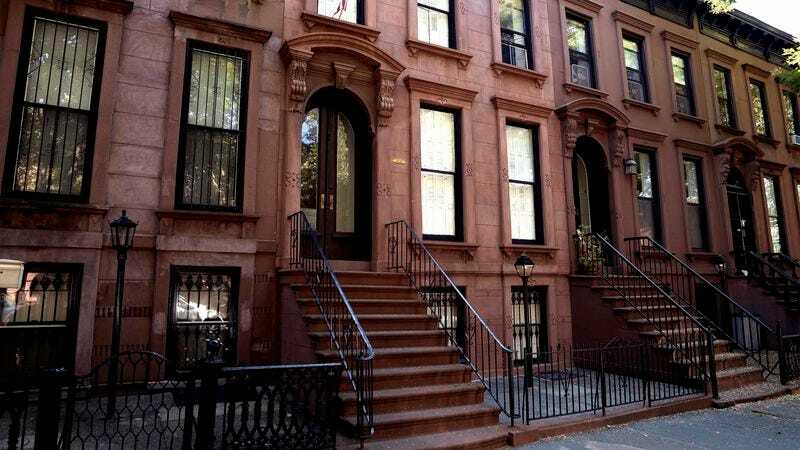 BROOKLYN—After being offered her dream job as an editorial assistant at a high-powered, nationally syndicated magazine last week, area film character Eleanor “Eddie” Edison moved into a beautiful brownstone home in the heart of Brooklyn, sources confirmed. “This place is perfect!” said the attractive, if naively hopeful, protagonist, who graduated with a degree in English/Creative Writing from a well-known northeastern university and now lives in a 5,000-square-foot waterfront property overlooking lower Manhattan. “I’m so lucky I just happened to walk by and see the rent sign in the window. Tonight, after our shopping spree, I will invite my best girlfriends over and we will drink white wine and fill each other in on major developments in our lives while we listen to an album by My Morning Jacket.” At press time, sources confirmed the fictional woman, who is currently single while focusing on her career, had just bumped into an insufferable though admittedly handsome young man downstairs who, as it happens, works at the very same publication she does.